We pioneer research relating to women’s confidence at work. Low levels of confidence among women are often cited as a reason for the lack of women in high-earning or senior positions and it has become something of a given, as well as an escape clause, when discussing women and career choices. If we are to identify how women can work and progress equally with men, then we need to ask more questions of working women. With current media attention on women not reaching senior roles and the big gender pay gap, it is more important than ever to look at the underlying reasons behind this. 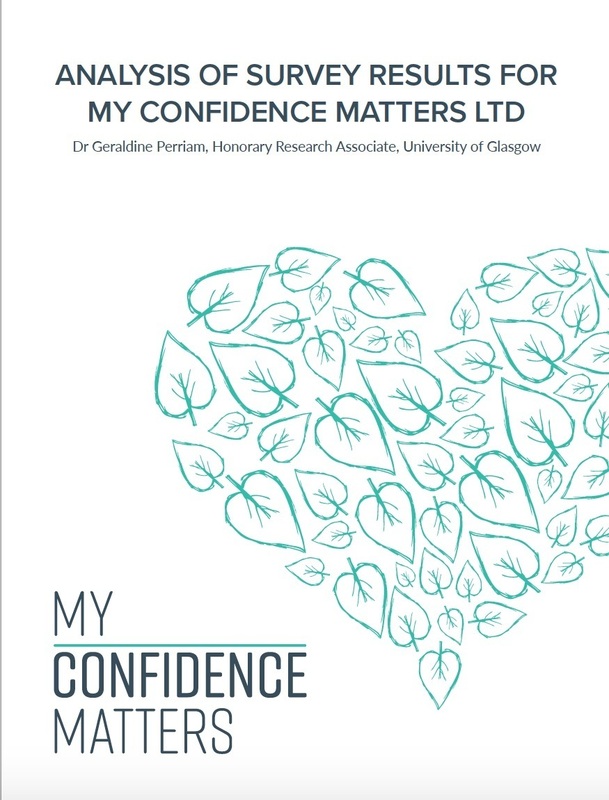 We conducted our first ‘Women: Confidence at Work’ research in 2017, led by Dr Geraldine Perriam, Honorary Research Associate at the University of Glasgow. The research looked at levels of confidence in business women, asking specific questions about their working lives and self-confidence when in the workplace. A significant percentage of the women surveyed (over 73%) responded that they felt they lacked confidence in the workplace on a regular basis. Respondents acknowledged the challenges to feeling confident and responded positively to questions about personal development training that might foster increased confidence or develop new skills, such as training in presentation and public speaking. Over 73% of those surveyed indicated that they feel they lack confidence on a regular basis. In the past year, how frequently would you say you lacked confidence at work? What typically makes you nervous at work? We are currently undertaking a further in-depth study into this issue to explore what is stopping women in senior roles from progressing to the next level of their careers. We are conducting this research with 2,000 women across 20 organisations, investigating the reasons behind women’s lack of confidence at work and assessing what companies could be doing differently to support women getting into more senior positions. We are always interested in hearing from any organisations who wish to participate in our research, so please do contact us to find out more.